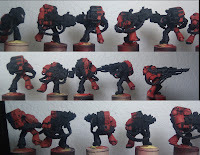 Boltguns, Bashers and Brushes: Thing a Day 1/17 Paint it Black, Part 1. Painting it black. Part 1. In this episode, our hero took to the black inky depths to base coat all his metals and weapons in black. Chaos black to be precise. This is Part 1, as I only finished half of my devs tonight. 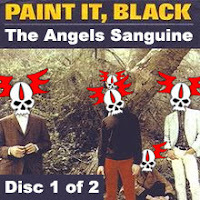 Painted all dark areas black, for 1/2 of my devs. 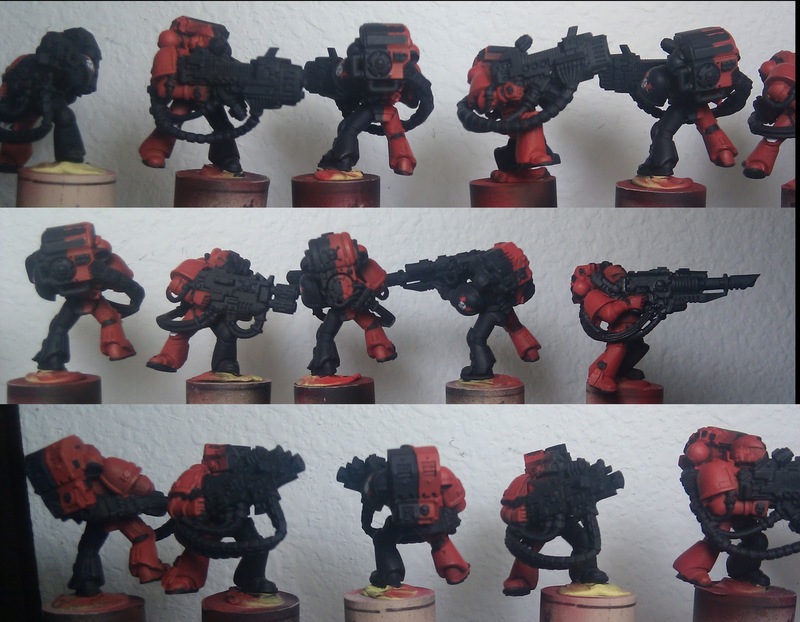 Part 2, my 12 Missile Launchers, coming hopefully Wednesday night. Also played Mr. Mom as the better half worked her late shift for the month and Cooked Tacos and Helped my 6.5yr old bake a cake! Tomorrow is Game night at my FLGS, so I will be not painting tomorrow night and instead doing a quick recap linked to our local forums. I know you must be waiting with baited breath! Stay tuned!